And why should they, if it’s a viable strategy? 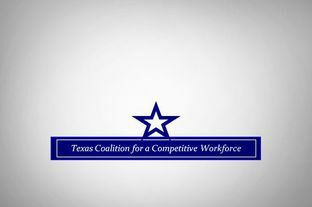 Representatives from the Texas Coalition for a Competitive Workforce, which includes major business groups and local chambers of commerce, said at a news conference that the assessment and accountability system known as the State of Texas Assessments of Academic Readiness cannot be rolled back. Too many students are leaving Texas public schools ill-prepared for college or a “high-performance” job, said Mike Rollins, president of the Greater Austin Chamber of Commerce, who pointed to the 42 percent of students at Austin Community College who needed remedial classes. Bill Hammond, president of the Texas Association of Business, said efforts to dilute the high-stakes system is the wrong move for the state’s businesses and the public school students who go to work for those businesses. The coalition said 80 percent of Texas students should graduate ready for college or a career without remedial classes. In the first round of the new testing system last spring, only 3 percent of students met that standard on the end-of-course writing exam. The coalition is open to some minor modifications, such as reducing how much the end-of-course test matters in a student’s final grade. Current law says the score should count as 15 percent, which was the primary source of consternation among the parents last spring. Dineen Majcher, who is part of the parent group, Texans Advocating for Meaningful Student Assessment, said the business leaders’ hard-line position is unrealistic. Well, the way to make TAB and Bill Hammond understand that is to elect enough candidates that support your position and oppose theirs to force them to the negotiating table. As long as they think they’ve got enough legislators under their sway, they don’t need to care what anyone else thinks. These are the stakes today, I hope everyone was paying attention. See here, here, and here for more. So where does the school finance lawsuit stand?